A military exercise by 5,400 troops from various African Union member states in South Africa is aimed at creating a continent-wide African Standby Force for engagement in peacekeeping and stabilization projects. Preparation began in late October and continued through the first week of November in the Northern Cape at Lohatlha. The AU mandated the ASF to deploy troops in states during civil wars and other kinds of instability in order to eliminate the rationale for Western intervention into Africa’s internal affairs. The Namibia-published Southern Times on Oct. 26 described the military exercise as Amani Africa II, which last year involved numerous countries, along with the United States Africa Command (AFRICOM) and other NATO troops: “The troops are being drilled to be part of the new 25,000-strong multinational force, which will be mandated to intervene in African countries rocked by genocide, crimes against humanity or war crimes.It is expected to be fully operational by early 2016.” The force will be comprised of “five brigades formed by Africa’s economic groupings including the Economic Community of West Africa States (ECOWAS), East African Community (EAC), North African Regional Capability (NARC), Economic Community of Central African States (ECCAS) and Southern African Development Community (SADC).” Douala, Cameroon, will be its logistics headquarters. These efforts require tremendous financial and material resources. Moreover, defining which states need intervention and under what circumstances will doubtlessly become a highly politicized process. Such stabilization and peacekeeping efforts have taken place in Africa since 1960 with mixed results. Many armed forces sent into troubled states have originated from the same regions in the continent, while others have been more broad based. After the former Belgian Congo’s independence on June 30, 1960, the colonial-led and -trained paramilitary Force Publique mutinied, leading to a breakdown in social order. Newly elected Prime Minister Patrice Lumumba appealed to the United Nations to deploy a peacekeeping force. That proved to be a disaster for the country and its revolutionary leader. With the U.N. forces’ assistance, Lumumba was overthrown, placed under house arrest and denied access to the media, resulting in his kidnapping and assassination, with the backing of imperialist governments, including Belgium, Britain and the U.S. Congo was plunged into decades of division and instability, while multinational corporations reaped billions of dollars in profits from exploitating the country’s mineral resources. Other peacekeeping efforts have enjoyed success, such as ECOWAS interventions in Liberia and Sierra Leone during the late 1990s and early 2000s, which, after years of setbacks, brought about some semblance of stability in these states. From 1998 to 2003, the SADC sent thousands of troops from Zimbabwe, Angola and Namibia to the Democratic Republic of Congo, halting a U.S.-backed invasion by Ugandan and Rwandan armed forces, which was aimed at overthrowing the governments of Laurent Kabila and later, his son, Joseph. 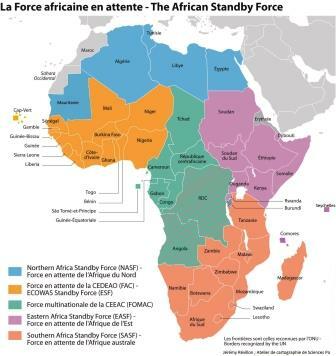 Nonetheless, there are political problems associated with plans to establish an ASF because the most serious interventions today revolve around AFRICOM. It was AFRICOM that led the destabiliation and bombing campaign that destroyed Libya, fostering instability throughout North and West Africa. Since the war of regime change against Libya, the imperialist scheme to institute a neocolonial client regime there has created the major source of global human trafficking. Hundreds of thousands of people are smuggled through Libya and across the Mediterranean Sea, which has resulted in more than 2,000 deaths so far this year — with no end in sight. Acquiring and budgeting financial resources for the ASF is also a major issue, as declining prices for Africa’s export commodities have caused a myriad of economic, political and social problems. Even Nigeria and Ghana, hailed in recent years for their phenomenal growth, are now facing industrial workers’ actions over nonpayment of salaries, inflation partially due to declining currency values, and growing class divisions. Funding and logistical support from the imperialist states would immediately compromise the ASF’s political character, creating the potential for military units to become a surrogate army for the Pentagon and NATO. Numerous Western research centers, think tanks and periodicals have highlighted the central role of former colonial and neocolonial countries as primary funders of the continental military command. Consequently, these funding sources would automatically have a determining role about which countries are targeted for intervention. With Pentagon, NATO and EU funding, would these entities support an ASF effort to assist a state or group being attacked by imperialist interests, such as in Libya and Ivory Coast in 2011? This approach to continental military cooperation is a departure from what Dr. Kwame Nkrumah, the Republic of Ghana’s first president, envisioned when he advanced the idea in 1960 amid the Congo crisis. In his 1963 book, “Africa Must Unite,” Nkrumah emphasized that any African military force must be independent of NATO and its allies. This idea was supported by Libya’s former leader, Col. Muammar Gadhafi, who hosted the 1999 Sirte conference of the Organization of African Unity, the AU’s predecessor. The Sirte Declaration called for the ASF’s formation when the AU was formally initiated in 2002. 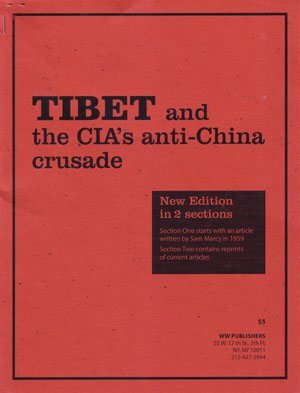 Both Nkrumah and Gadhafi were overthrown at the instigation of and due to coordination by the Central Intelligence Agency, working at imperialism’s behest. Nonetheless, their formulations were correct. Only when Africa can establish its own independent military force will there be any hope for genuine peace and stability on the continent.